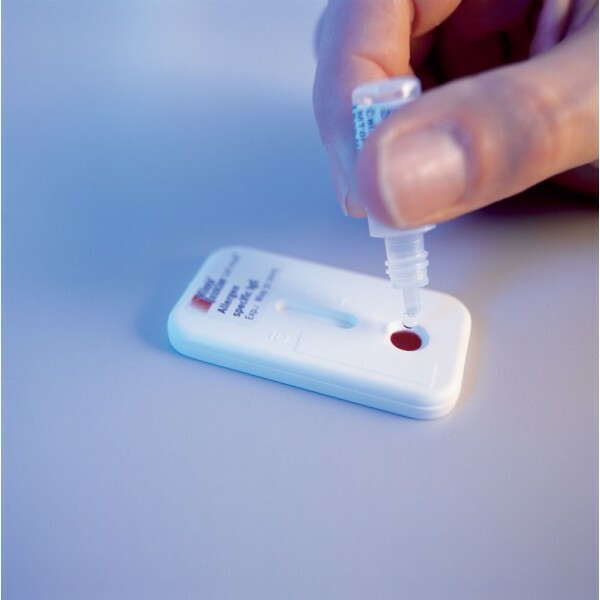 The Milenia QuickLine IL-6 immunoassay is a quantitative rapid lateral flow test for the measurement of human interleukin 6 (IL-6) in a sample of serum, plasma, amniotic fluid, csf or cell culture supernatant as an aid to the early diagnosis of sepsis. Raised levels of IL-6 frequently preceed CRP in early sepsis. The test result can be read semi-quantitatively by reference to a colour chart or quantitatively with a reader. CE accredited for clinical diagnostic use 98/79EC.